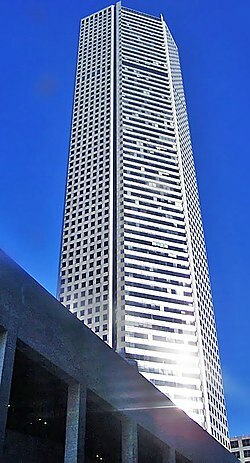 JPMorgan Chase Tower is a skyscraper in Houston, United States. It is 305 meters (1002 feet) tall and has 75 floors. It was built in 1982 and is one of the tallest buildings in the United States. This page was last changed on 21 May 2018, at 21:19.